Where this industry standard reflects the OHS Act and OHS Regulations (including the construction regulations), this is indicated by the use of the word “must”. In such cases, this guidance must be followed. Steel structures should be designed in accordance with the key Australian standards dealing with the design, fabrication and erection of steel structures. Workers can be exposed to the risk of injury when loading, transporting and unloading steel from transport vehicles. 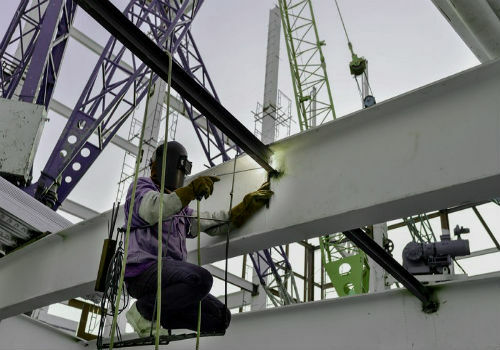 Delivery of steel onto the site requires co-operation between the builder, transporter and erector so that the steel is delivered in a timely and efficient manner, and that it does not overload the delivery area or the construction.